The next monthly handicap will be held on the Sunday 21st April 2019. Players should be present at the club no later than 10:00a.m. for the draw, play starts no later than 10:30a.m. Entrants numbers may be limited to 24 players and allocated on paid entrance fees. 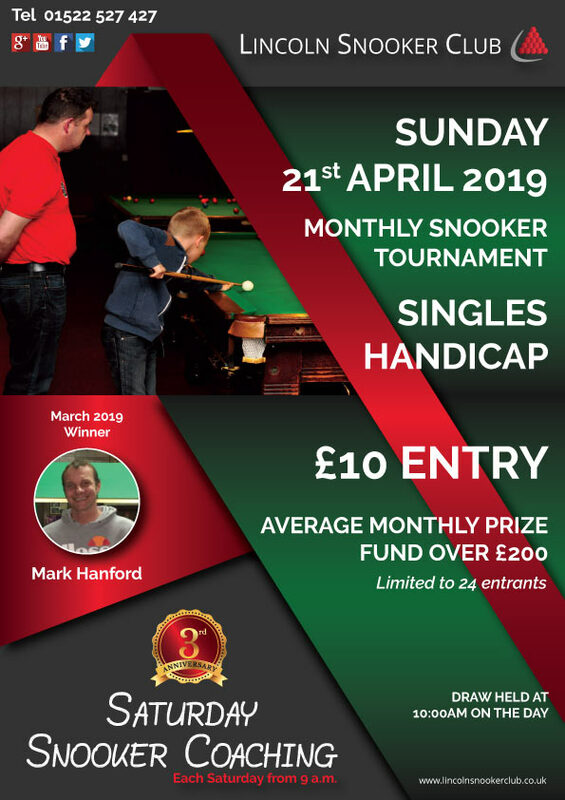 No Replies to "April 2019 - The Saturday Snooker Coaching OPEN - Snooker Singles Tournament"